"Create a sensible and coherent regime"
Microsoft has called for the EU to clear the way for cloud computing – asking Europe's governments to get their nations ready for the next generation of computing by unifying laws and enhancing security. Microsoft's General Counsel Brad Smith, speaking at the Museum of Art and History in Parc du Cinquantenaire in Brussels, insisted that the time for a Europe-wide accord on cloud computing was vital if the region was to benefit. "Responsible government action includes ensuring that Europe has the right communications infrastructure in place to support the cloud," a paper published alongside Smith's speech laid out. "Creating a sensible and coherent EU regime governing the flow and protection of data stored in the cloud; and establishing and enforcing an advanced privacy and security framework that is more closely aligned with the ways in which computing is evolving. "The digital agenda is now squarely at the centre of Europe's priorities, and with a new Parliament underway and a new Commission soon to be in place, this is an ideal time to initiate a multi-stakeholder dialogue about the cloud." 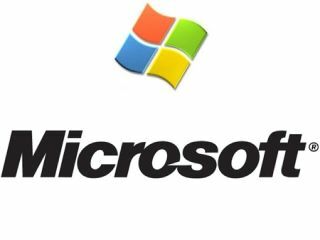 Microsoft makes it clear that changes to EU laws, as well as in the individual countries, need to be updated and changed, but also asks for governments to invest in broadband infrastructure, provide greater transparency about privacy and security of cloud providers and enhance the security of the crowd. Ensuring that the European communication infrastructure is cloud-ready. Cloud computing can only deliver the full benefits when there is ubiquitous and affordable broadband access. Continuity of access will encourage consumers to make greater use of cloud computing services and SMEs to focus more on developing new content and services. Ensuring a genuine single market by bringing coherence to the legal framework applicable to the connected world, including the cloud. This is needed to avoid data of European citizens and cloud providers being subject to a fractured and, at times, conflicting set of legal rules and principles. Among other things, Europe should work to address and eliminate divergent Member State interpretation and application of data retention and other e-communications rules. Ensuring greater transparency about the privacy and security practices of cloud providers through industry adoption of a self-regulatory code, alongside possible reforms to the European framework for international transfers, in order to ensure that essential privacy protections apply to the cloud and users can make informed choices. Enhancing security in the cloud by providing for greater rights of civil enforcement against cyber attacks and ensuring greater coordination and resourcing for law enforcement bodies. Microsoft's calls to the EU are intriguing, although obviously served up with a hefty portion of self-interest. Calls for a better broadband infrastructure are laudable, as are calls for enhanced security but calling for Europe wide accord on 'data retention and other e-communications rules' may raise hackles.